We're racing towards the end of another month and while our lives seem to be moving at an ever increasing pace, it's sometimes nice to be able to slow it down and take a moment to reflect. If there's one sub-genre of metal that helps you do that it's doom metal, but more importantly it's British doom metal. 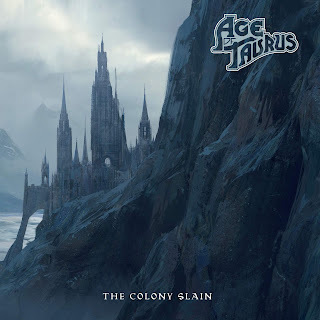 Age Of Taurus recently released their second full-length "The Colony Slain" via the much lauded Rise Above Records. This band is one steeped in UK trad/heavy metal with members that have played in some of the country's most seminal doom bands, so this record should not disappoint. There’s subtle thrash flowing through In Dreams We Die and the bass crunch at the beginning fills the record with warmth. The vocal delivery and melodies turn it into something really catchy, with an equally inspiring solo towards the end. Age Of Taurus heads back down the doom path on The Lost Garrison. This particular path isn’t gloomy and self-deprecating though as the band does their utmost to keep the music punchy and engaging. Their tones on Beyond The Westward Path have more in common with their Swedish cousins such as Grand Magus. They are more mesmeric here but they never lose their hard rocking sensibilities. Talking of hard rocking, the riffs at the beginning of For Treason We Rise are just that and they carry a lot of momentum throughout the song, even when Age Of Taurus slow things down. This is the record’s longest song and it definitely feels like a journey, but in a good way. I’d probably be doing this album a disservice by talking about it as a concept album, but it has that feel to it as The Walls Have Ears plays. it stems once again from the storytelling that’s employed throughout by the lyrics and clever continuation that Age Of Taurus weaves into it. At this point it’s impossible to ignore the sheer quality of this record, as To Seal A Mountain slowly marches forward with a bass-heavy stomp. There’s time for a penultimate instrumental in the form of As Ice Into Blood before it’s left to the title-track to close “The Colony Slain” in style, which lovely vocals melodies and more free-flowing guitars. 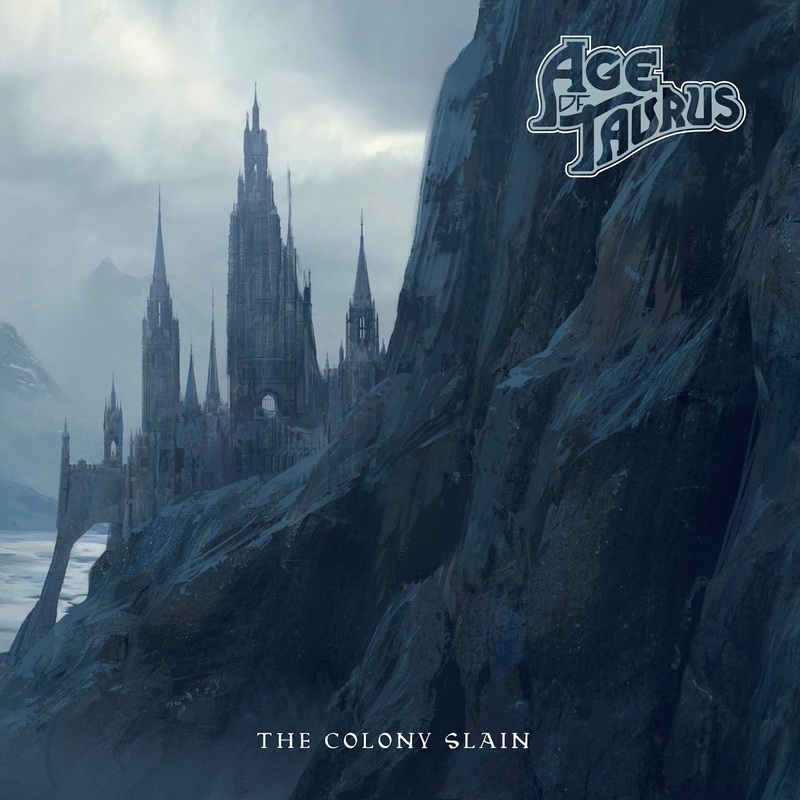 Age Of Taurus has done a great job with this record and when you’re craving something that’s heavy but not harsh, featuring real musicality and British charm, you’ll reach for “The Colony Slain”. Hell Night/Sweat Shoppe - Split 7"
Atomicide - Furious And Untamed 7"